We all know that back-to-school season can be both an exciting and hectic time of the year. Whether it’s keeping folders and schedules together, creating a designated homework zone, or having a go-to spot for all school supplies and necessities…providing organized environments both at home and in the classroom can makes learning easier for kids, and lives just a little less stressful for parents and teachers. Any new DIY organization hacks you’re loving this season? 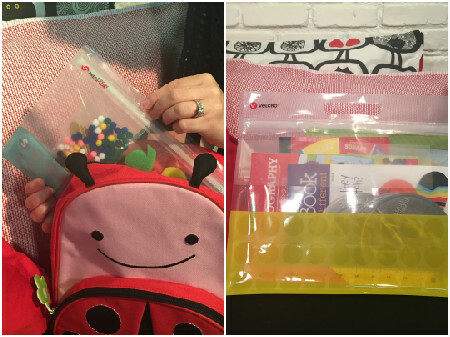 The brand-new VELCRO® Brand PRESS-LOK® Bags are a great way for parents to keep things organized around the house, along with being a helping to ensure kids are sent off to school (without forgetting their art supplies or gym clothes). They are easy for kids to open, yet secure enough to stay closed, making them the perfect tool for organizing kids’ backpacks. In the classroom, VELCRO® Brand PRESS-LOK® Bags allow teachers to easily organize arts and crafts supplies, keep students’ favorite games pieces together and puzzles in one place. Pretty cool, right? You can pick up these awesome new organizational tools right now from the Official VELCRO® Brand Store. What’s your favorite trick for a clutter-free learning space? 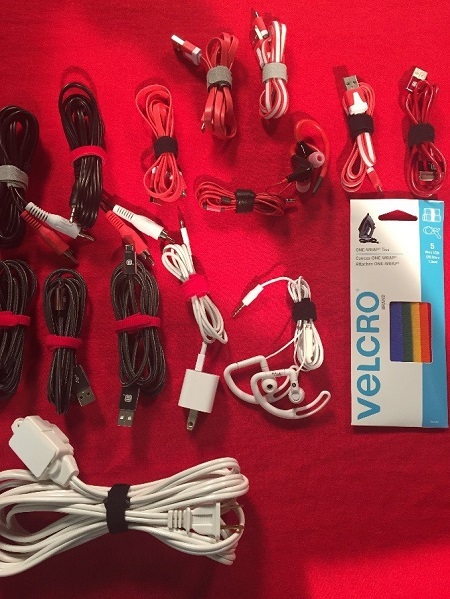 VELCRO® Brand ONE-WRAP® ties are an easy way to organize the mess of cords that come with today’s essential forms of technology. The precut ties come in a variety of colors; making it easy to color-code wires, cords, and cables. Better yet—they’re even available in different sizes to handle both thin wires and bulky cables! The adjustable ONE-WRAP® ties are strong and reusable—perfect for organizing home offices, dorm rooms and ensuring the classroom is hazard and clutter-free. Do you have any other back-to-school essentials? I discovered recently while completing the VELCRO® Brand Classroom Makeover in Joplin, Missouri, that one of my favorite classroom design solutions was to use VELCRO® Brand Sticky Back fasteners to keep things out of the way, while also keeping things easily accessible for both the students and the teacher! 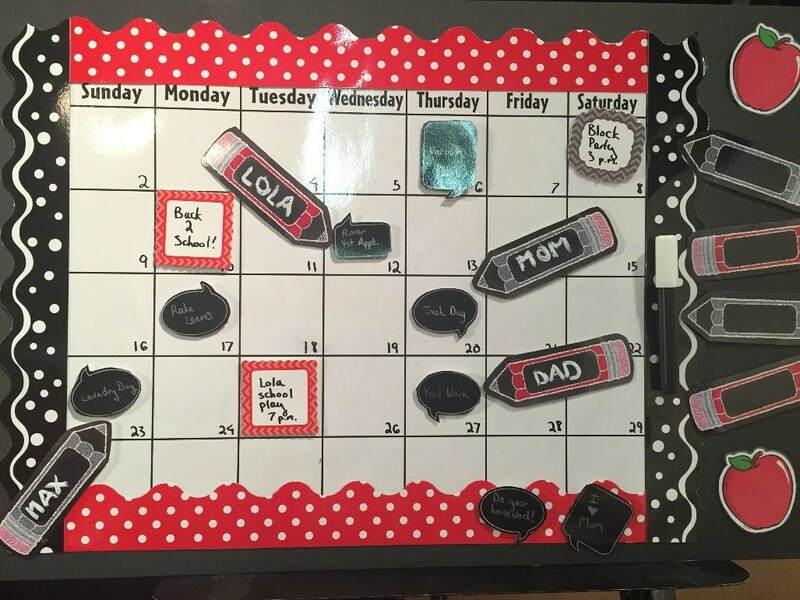 At home, they’re an easy way to create a family calendar to keep track of busy schedules and events. In the classroom, teachers can also use them to create both moveable nametags for desks and cubbies, and to keep dry erase markers adhered to the whiteboard. The opportunities are endless! VELCRO® Brand Sticky Back for Fabrics is another genius hack for teachers and parents to spruce up their spaces. 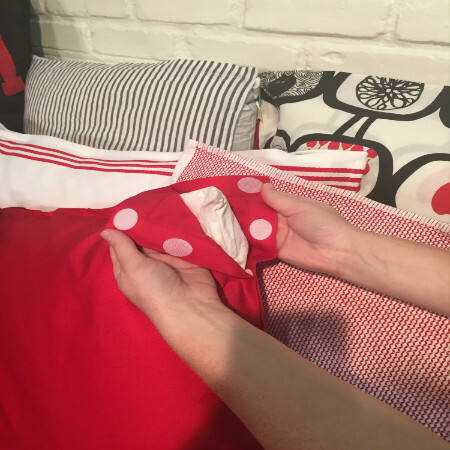 Combined with colorful dinner napkins and simple pillow inserts—you can easily brighten up pillows at home, or in a reading nook in the classroom, all in a matter of minutes. So, there you have it! Sabrina Soto’s top choices for a successful back-to-school for teachers, students and parents…all easy solutions to make this the best year yet. For more tips on how to stay organized in the back-to-school season, stay tuned for the latest blog posts, videos and projects on www.velcro.com!